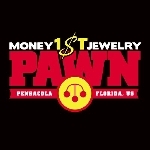 Tammy Tomasek and her team at Money 1st Jewelry and Pawn in Pensacola, FL. You guys ROCK!!! We appreciate your help!!! I LOVE MY SISTER!!! 50 thousand thanks to my sister, Debbie Loakim, for painting our logo on the side of the team RV! It's freakin' awesome!!! !